At a large company such as Verizon Communications, the opportunities are endless. You can work in legal, finance, technology, and media and content, at all levels of the organization. The company has nearly 165,000 employees worldwide. It only makes sense that it has a commitment to diversity and inclusion. A few years ago, Verizon combined its talent and diversity departments. This change made things simpler and more interconnected. The company not only needs to be in the right places to attract talent at the front end but also needs to think about what happens after the hire, including onboarding, succession planning, career development, and more. “Having them in one place with a thread of diversity and inclusion cutting across just makes it a more harmonized system,” Yrizarry says. As the leader of the department, she has helped usher in initiatives that have benefited the entire company. One of those initiatives is the Unconscious Bias conversation. The program helps employees avoid an “us versus them” conversation, and it started with the idea of how to have a different discussion between leaders and employees. In 2015, the decision was made to roll this out, so Yrizarry and others began talking with external partners to really understand human behaviors, particularly around uniqueness and belongingness. That year also involved a lot of change within the organization. 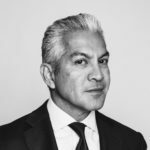 “When there is change, you’ve got to make sure that people stay connected and that people have a way to pause, to reframe, and to understand,” Yrizarry says. So, in 2016, the program was rolled out to the chairman and his direct reports as well as to senior leaders. It will cascade to every employee by 2018. “This Unconscious Bias conversation has really opened up a safe space to have those conversations about biases that we all have that result from our different backgrounds—and can even extend to the less obvious, like what business unit you’re in,” Yrizarry says. The content was expanded into a broader toolbox—face-to-face, webinars, and online resources—to help leaders and executives integrate it into their business conversations. In the fall, as an extension of the Unconscious Bias initiative, Verizon is also launching Unboxing. A second initiative, which Yrizarry has led this year, is the Power Program, which positions women for executive roles. This program specifically focuses on gender, she says, and the company wanted to be sure that multicultural women were also represented. So, they started with the top talent in the technology space. In the pilot program, director-level women were matched with middle-manager women. The pair had a one-on-one mentoring relationship and were put into a cohort where they were sponsored by an executive. That executive met with the middle-manager women, getting to know them in order to support their continued development. Yrizarry’s focus isn’t entirely on the current Verizon workforce; she’s also looking toward the pipeline of talent. To do that, she works with various community organizations to bring in diverse talent, including Latinos and Latinas. Verizon has a significant partnership with ASPIRA, a nonprofit organization dedicated to developing the educational and leadership capacity of Latino youth. Yrizarry served as chair of the ASPIRA Association of New York for more than a decade and is a product of ASPIRA’s program. “It’s about making sure students are given the foundation to lead in their high schools, their colleges, and then lead at companies like Verizon, because it is in their DNA to lead,” she says. 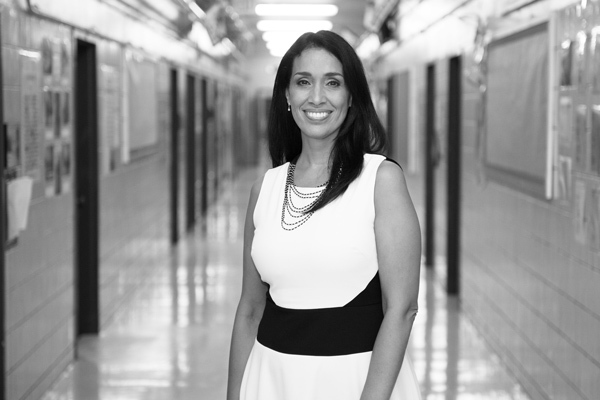 Though most of Yrizarry’s involvement in ASPIRA has been through the New York chapter, she and Verizon wanted to do more. They created a digitized version of the curriculum to extend beyond where ASPIRA physically reaches, which will show teachers, parents, and other community-based advocates how to use the curriculum. Diversity initiatives are not limited to a diversity department. If you have a commitment to diversity, Yrizarry says, you can make any organizational structure work. “All executives are in diversity and inclusion, so the first thing that other executives can do is lead by example,” she explains. Leaders must be aware of their own biases because they tend to surround themselves with people whom they’ve worked with and trust. This can create barriers, and leaders need to constantly check in to see that they’re expanding their network to people who are not exactly like them. But don’t just check off the diversity box, Yrizarry says. “Whatever it is that defines diversity in your mind, if your employees can’t be open, if they can’t engage, if they don’t get your time and your coaching and your investment in their development somewhat equally, then you’re not an inclusive leader,” she says.